Ruby color. Aromas of musk, lemon gummies, grape soda, and cream soda with a round, vibrant, very sweet medium body and a smooth, interesting, medium-long orange sherbet, peony petals, strawberry jelly, and saffron finish with no oak flavor. A balanced and refreshing dessert wine that highlights classic Catawba character. 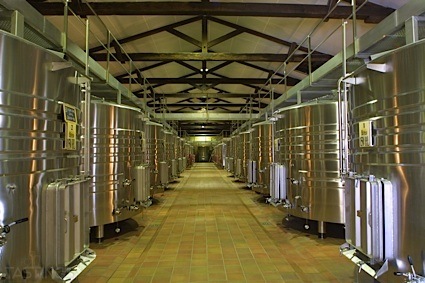 Bottom Line: A balanced and refreshing dessert wine that highlights classic Catawba character. 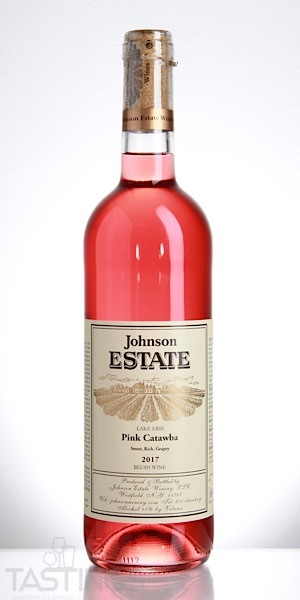 Johnson Estate 2017 Estate Grown Pink Sweet Wine, Catawba, Lake Erie rating was calculated by tastings.com to be 89 points out of 100 on 8/29/2018. Please note that MSRP may have changed since the date of our review.